The first line of input will be a positive integer indicating how many data sets will be included (N). Each of the next N lines will contain the X and Y Cartesian coordinates of the land Fred is considering. These will be floating point numbers measured in miles. The Y coordinate will be non-negative. (0,0) will not be given. 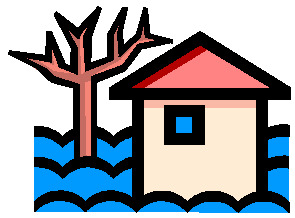 Property N: This property will begin eroding in year Z. Where N is the data set (counting from 1), and Z is the first year (start from 1) this property will be within the semicircle AT THE END OF YEAR Z. Z must be an integer. After the last data set, this should print out END OF OUTPUT. 1. 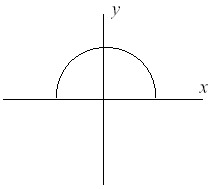 No property will appear exactly on the semicircle boundary: it will either be inside or outside. 2. This problem will be judged automatically. Your answer must match exactly, including the capitalization, punctuation, and white-space. This includes the periods at the ends of the lines. 3. All locations are given in miles.